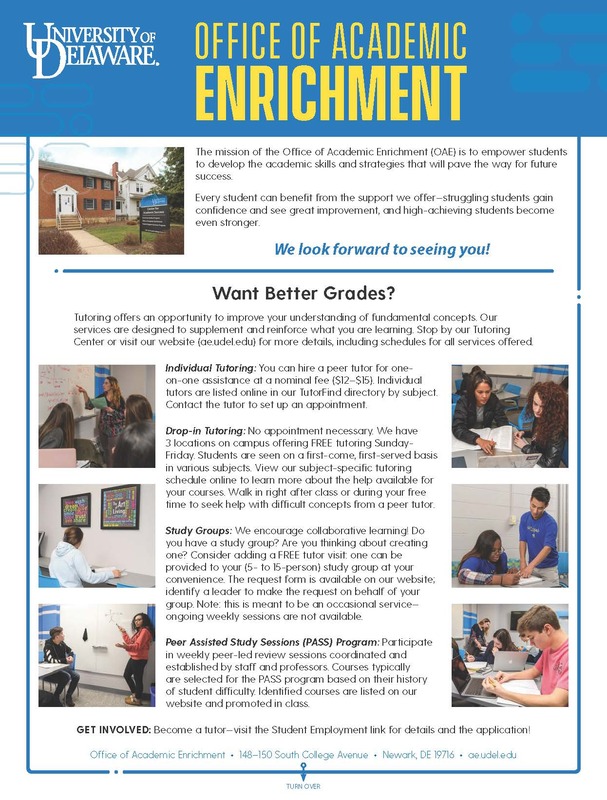 The Office of Academic Enrichment has a number of resources available to help those who are struggling, as well as to those who are successful and looking for ways to sharpen their skills. Individual Tutoring. Undergraduate tutors are available for $12/hr; graduate tutors are $15/hr. Group Tutoring. Spring Schedule. 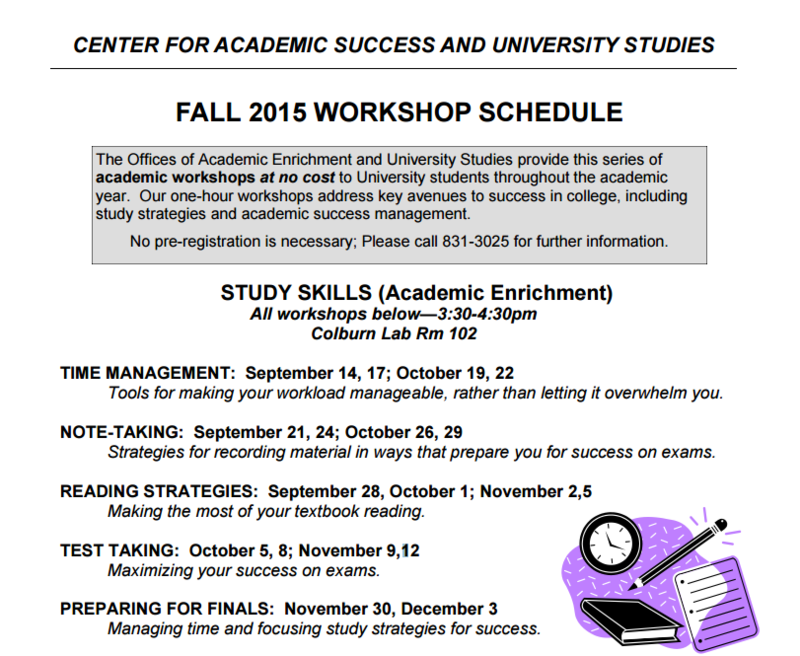 Free group tutoring in a number of courses is offered each semester. Groups are formed in response to student requests. Online workshops: Your Roadmap to Success. 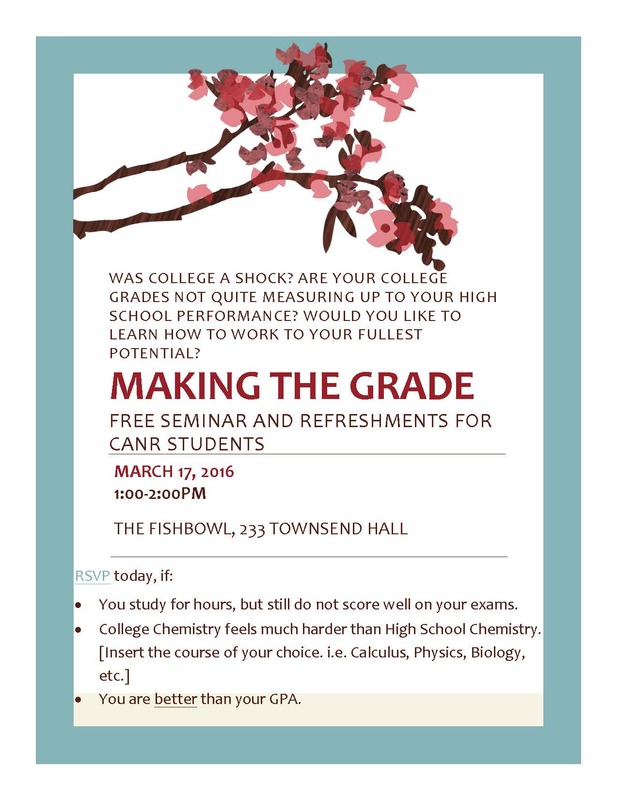 These workshops are designed to help students identify skill areas they need to improve in, to practice new techniques, and to evaluate their progress. 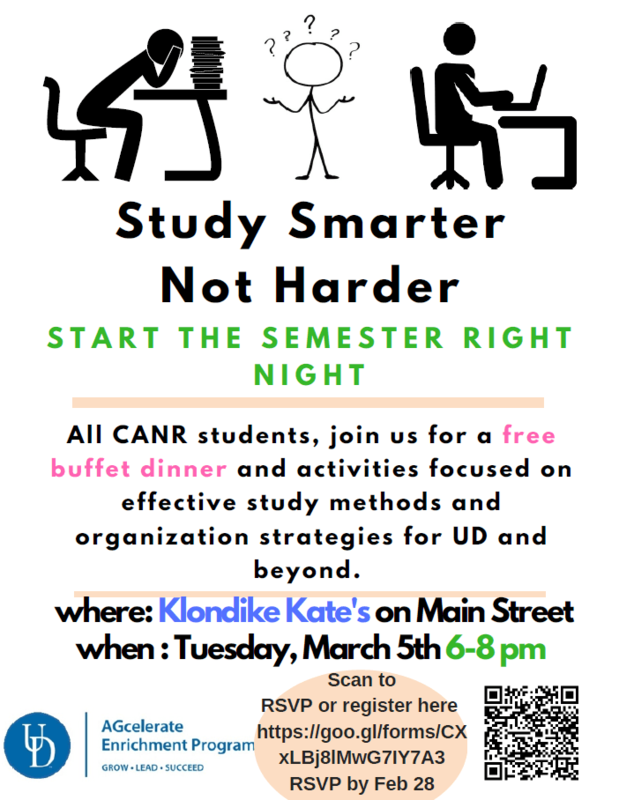 Need to brush up on your study skills, or maybe you don’t even know where to start? 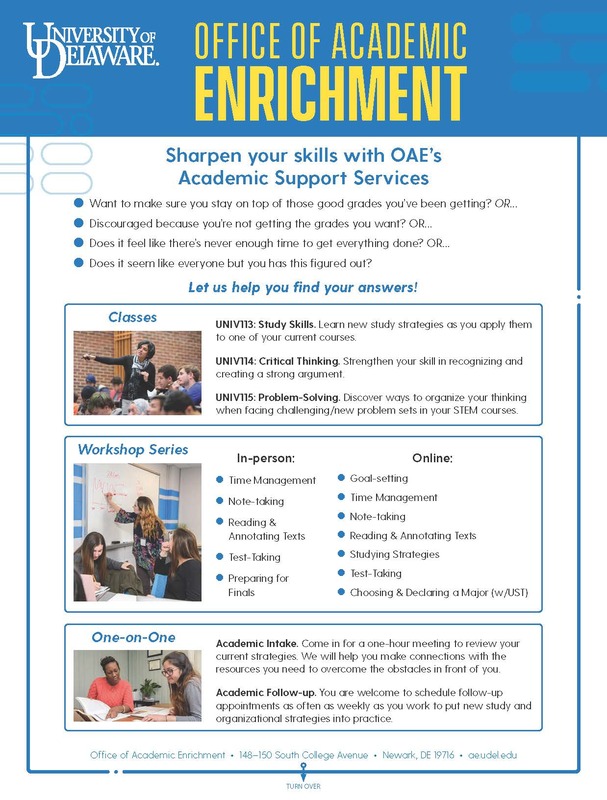 The Office of Academic Enrichment (OAE) has several resources available to help you. Academic Intake appointments. Any student can meet with a staff member to assess his/her current study strategies and develop a plan for strengthening those strategies. 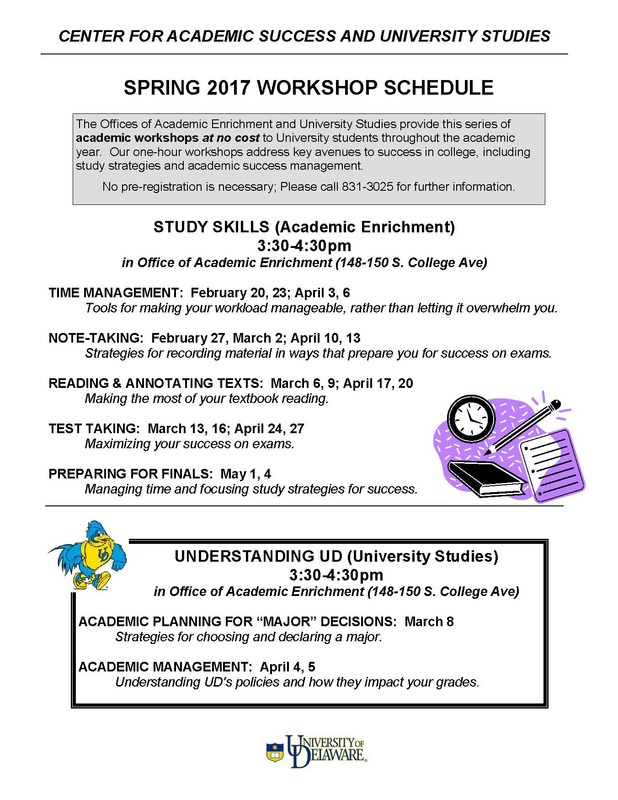 In particular, students in academic difficulty can benefit from this one-on-one academic counseling.